While we were in Bangkok we decided to head down to the southern end of Thailand to stay on Phuket for a breath or two. It seemed like the perfect place where there are many tourists – meaning a more Westernized environment to help us settle in. However there was one rather L A R G E fact that we either missed or chose to ignore. High season. Every ”destination” has one and Dec-Feb is the high season in Phuket. Everyone and their whole extended-everyone-let’s-go-to-the-beach family comes down here to escape the cold and the wet and the snow from wherever back home is. While that makes for a great coffee table memory, it certainly did NOT help the Travelling Awesomes find a place to stay! Mostly everything was either booked or outrageously priced. So here is my uninvited travel tip to all of you thinking about heading to Phuket next winter. BOOK EARLY! Now that we have that out of the way….on to the fact that this has been one heck of an experience so far! We were lucky to find a hotel in a decent spot that was within walking distance to Patong Beach. Now there are two side to that coin. On one side, it was within walking distance to the beach! Which also means plenty of transportation, food, and shopping! On the other side, that also means that everyone else had that same thought so there were a ton of people! But it worked out quite well for us in any event. We were able to secure two rooms in the Lemongrass Hotel and after our week there were able to walk away knowing we found a true gem. We dealt mainly with Domo (who upon the initial phone call didn’t even ask for a deposit, which was awesome!) and with Terry who was the owner. They both are English speakers and very knowledgeable and willing to help. Terry told us that he recently added the restaurant portion of the hotel and while breakfast isn’t included in your room, the food and service is well worth it. We had breakfast there every morning and typically dinner as well. We tried a few other spots in town but usually found ourselves eating at Lemongrass. 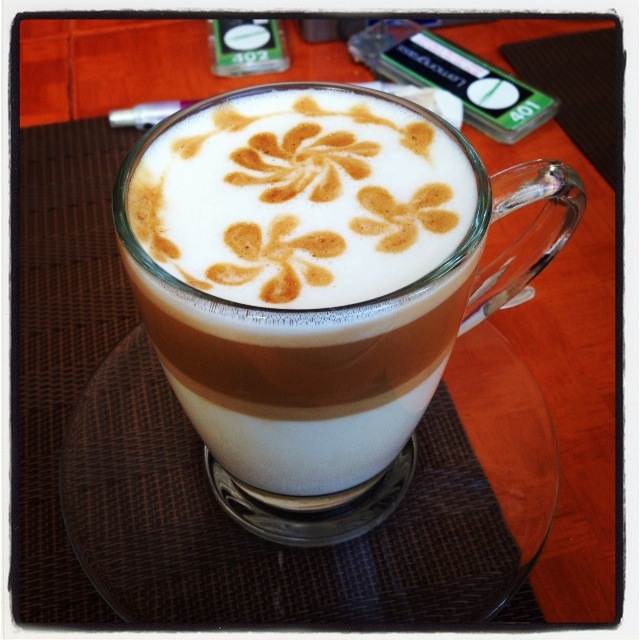 The latte’s that were made for me were absolutely stunning-AND delicious! I have never had one where the layers were so clear! Once high season officially begins….and I mean officially, they have a parade and everything! 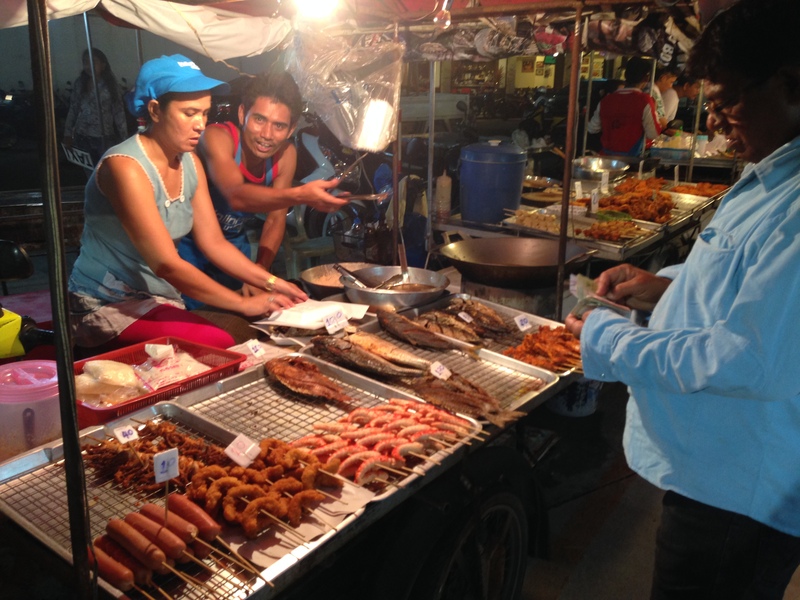 There is a night market that was a five minute walk behind the hotel. After dinner the parking lot became a buffet to the senses. 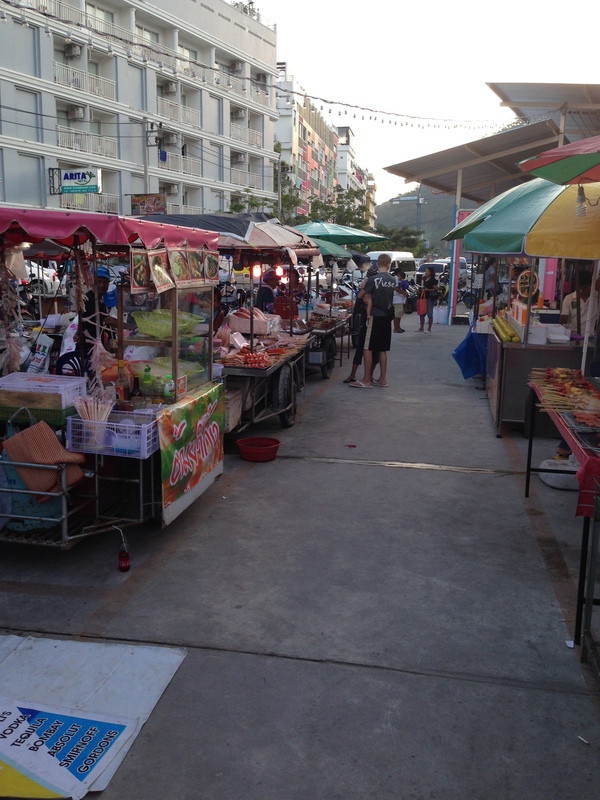 There were tremendous amounts of shopping available and row upon row of food stalls. Everything was cheap and we had to force ourselves to remember that we had to be able to actually move our luggage!! 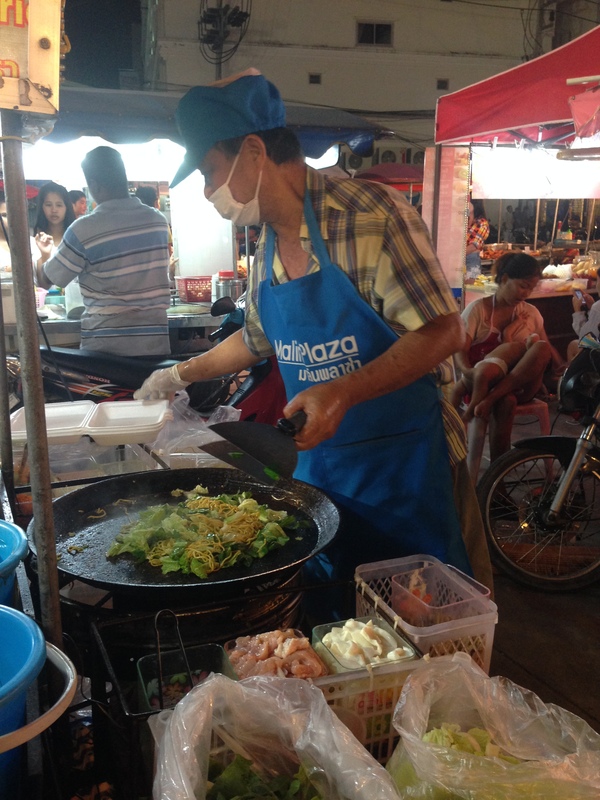 So after getting some flip flops, we spent some time perusing the food stalls! It’s amazing what was offered, and how…. If shopping and eating weren’t the indulgences you were looking for, Lemongrass was directly across the street from a reputable spa. 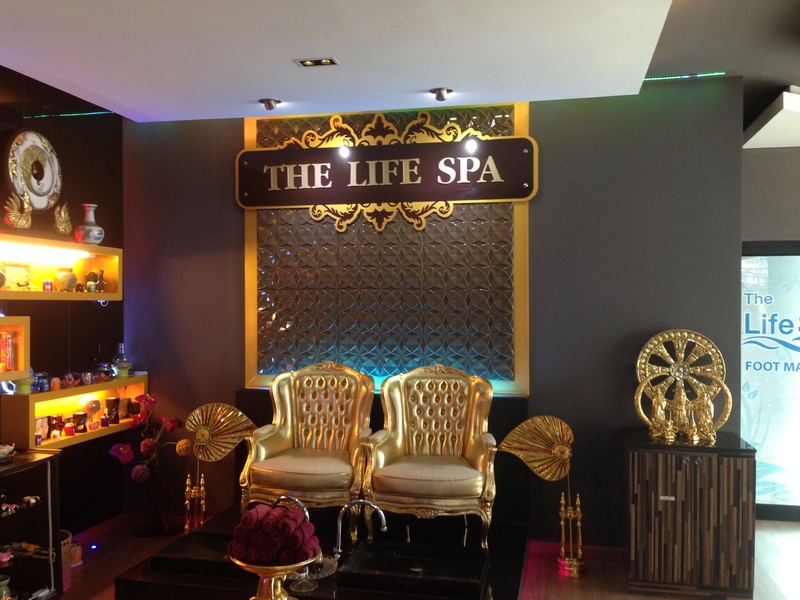 Who in their right mind would pass up a one hour massage that only costs 600 baht?? (that’s $18 USD!) I certainly didn’t! I walked my wanna-be-pampered self right over there and took advantage of hubby’s big spender attitude! 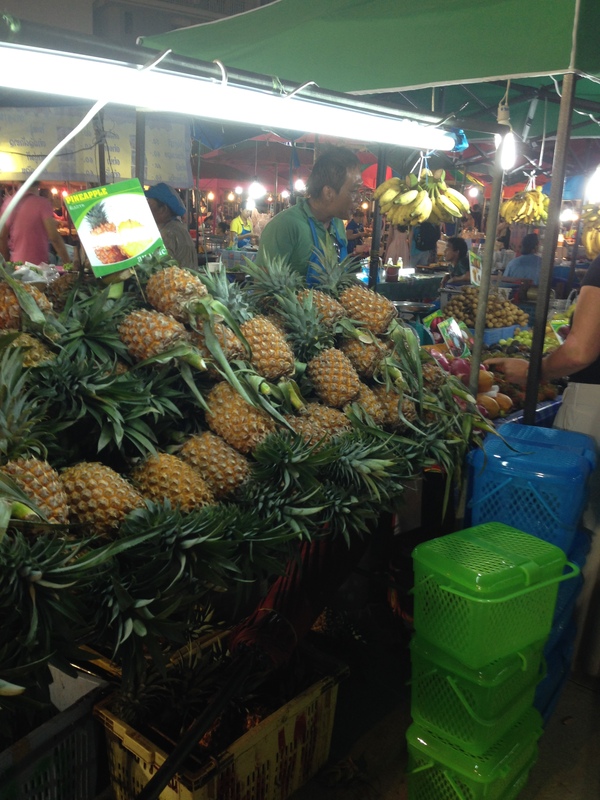 We also hit the beach and found out that Patong Beach really isn’t our cup of tea. It’s very commercialized and full of parasailing, speed boats, and jet skis. Aside from the fact that there are a million people on the beach and the water has a lovely aroma of diesel, the beach itself was warm and sandy! We didn’t stay long and decided to head to the beaches on the southern end of the island later in the week. We walked a lot, went to the movies (loved Frozen!) and just generally hung out together. Oh, and school, yep…we did that too! The kids (and I) were exposed to our first tuk-tuk ride. I know that all the travel sites tell you to be very cautious of taking tuk-tuks and I’m sure they’re right. 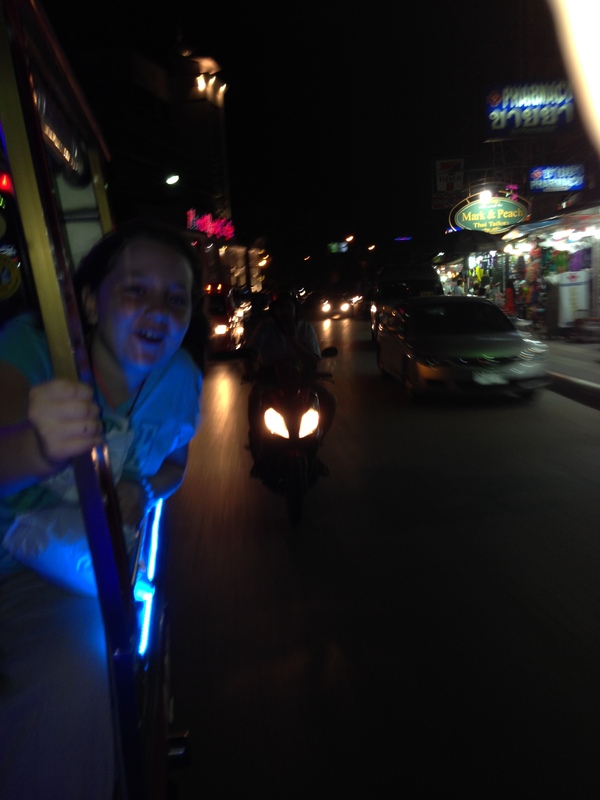 But in Patong it’s really just a quick way to get around…and it was a lot of fun! It’s priced right up there with taking a true taxi, but an experience that we all loved. We were kind of sad to leave Lemongrass, but our budget required us to find some lodging that would allow us to actually cook and have spending money! We were lucky to find a studio apartment near Chalong that was only 8500 baht a month…that works out to be around $260 USD. We had to put down a deposit and we may end up leaving before our three month lease is up…but for that price it really didn’t matter. In realtor terms it’s cozy…but considering we spent the last two years in a camper, it kinda feels like home! We hope you all had a wonderful and safe New Years 🙂 Stay tuned for some more amazing adventures from the Travelling Awesomes!